Meniscus tear surgery is one of the most common types of sports injury surgery. Meniscus tears are not very good at healing on their own, and even with rehabilitation and conservative treatment, surgery is often needed. Meniscus surgeries can be divided into two different types, a meniscectomy or meniscus repair. This page focuses on the surgical procedure for meniscetomy, or meniscus tear removal. The first step in a meniscus tear surgery is the arthroscopic evaluation. Even if you have had an MRI, this part of the surgery is essential to make sure that you actually have a meniscus tear. MRI results are fairly accurate, but the type of tear, and its location needs to be evaluated to determine the best course of treatment. Your surgeon will make 2-3 different "portal" incisions in your knee. 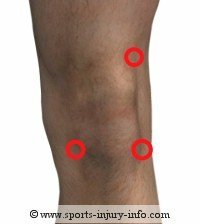 The most common spots for these are medial and lateral to the patella, and then another above the knee cap to the outside of the knee. One portal is used for the arthroscope, which is a small camera that allows your surgeon to look inside the knee joint. The other portal is used for the tools used during the surgery. The third portal is where the arthroscopic fluid is pumped in...this keeps the joint clear so everything is visible. Once the evaluation is complete, your surgeon will know exactly what is wrong inside your knee, and what needs to be fixed. Once the meniscus tear is found, your surgeon will determine to either remove it, or repair it. This decision is based on where the tear is located within the meniscus. Tears located more towards the middle of the meniscus are removed, while tears towards the outside can sometimes be repaired. A small shaver is used to remove the torn part of the meniscus. It is best to try and save as much of the meniscus as possible, and so only the torn sections are removed. Meniscectomies are classified based upon how much of the width of the mensicus is removed. Your surgeon will be able to tell you what percentage of loss you had after your surgery. Once the torn section is removed, the tools and arthroscope are removed, and your portal incisions are closed with either sutures or staples. After meniscus tear surgery, recovery time will vary depending on your age, activity level, amount of menicus loss, and any other procedures that were performed. For most meniscectomies, normal recovery time is about 4-6 weeks. You may be placed on crutches for a few days after surgery, or you may be encouraged to walk on it right away. Rest, ice, compression, and some type of rehabilitation after a menicus tear surgery is important for a good recovery. 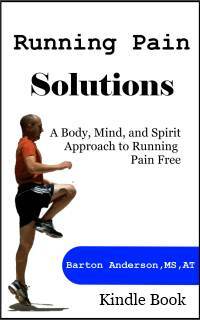 Regaining your range of motion, strength, balance, and endurance are all important parts of a successful recovery. Menicus tear surgery is an effective way to treat a torn meniscus. It usually involves removing the torn section of meniscus, and a full recovery takes around 4-6 weeks. Rehabilitation following surgery is important in order to restore normal range of motion, strength, balance, and endurance...and to get you off the sidelines.